An ambitious business owner looking for ways to increase sales through digital channels. Seeking to increase margins through implementing digital tools. Looking to put together a strategic plan for the growth of your business that leverages the latest technology. 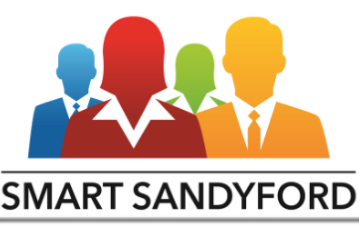 With under 10 staff and located in, or considering a move to, Sandyford Business District. …then our Digital Growth Programme is ideal for you. Join six 3 hour evening workshops with peers delivered by a top facilitator with expert guest speakers in the exciting new Microsoft Campus. Create a strategic growth plan for your business during the programme. Have access to the latest Microsoft tools and frameworks. The programme is being delivered by Smart Sandyford’s Skills & Innovation Champion, Eoin Costello, a well known innovation, startup and digital marketing/social media expert. For the full schedule and modules please click here. Just fill out this short form (just 6 questions) to submit your application. This is a subsidised programme and places are limited to 10 participants so apply as soon as possible! The closing date for this exciting new programme is 5pm on Wednesday, 16th of May.